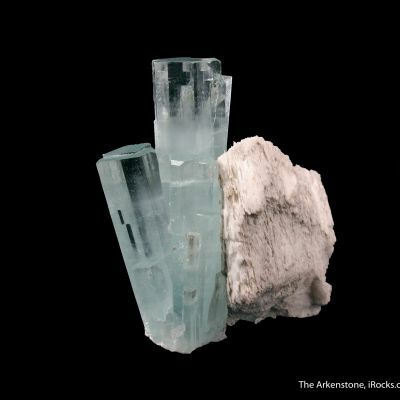 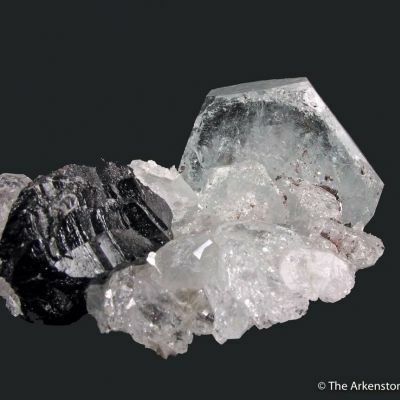 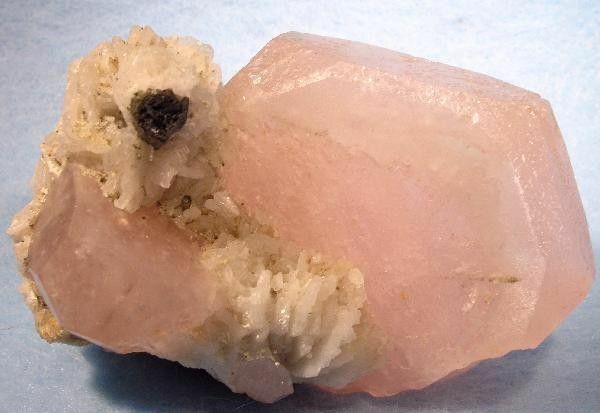 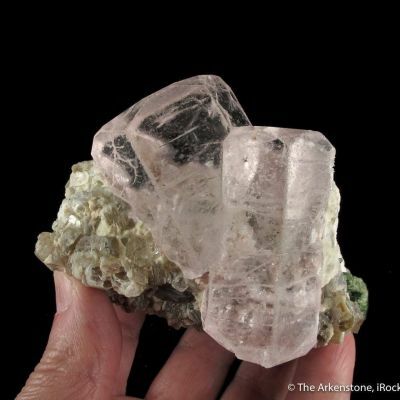 A fine specimen featuring two euhedral Morganites on a Clevelandite and Mica matrix, with a small Tourmaline thrown in among the Cleavelandite for accent. 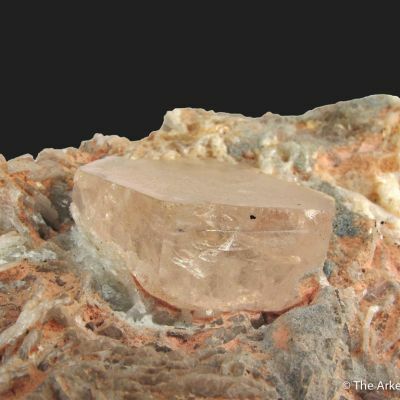 The largest Morganite is 4.5 cm across, has sharp hexagonal faces (is contacted along the base, of course), and rich pink color. 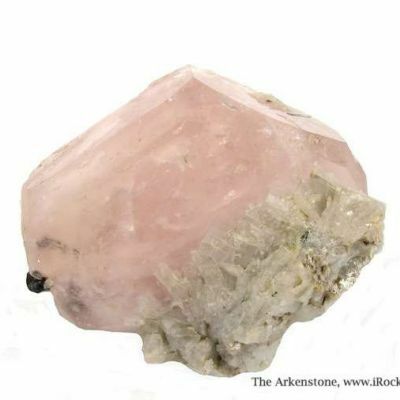 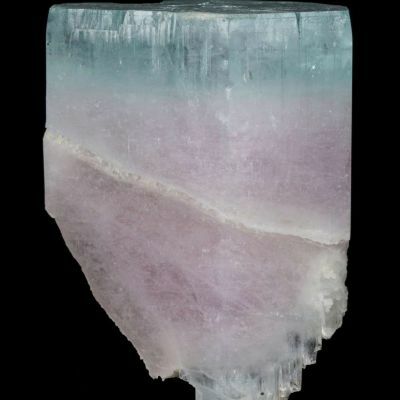 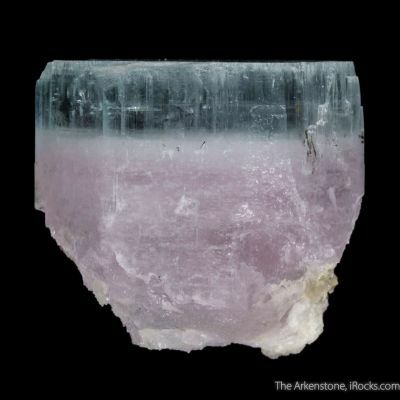 The core is a nice deep pink, surrounded by a lighter and partially gemmy zone, with the outer portion dark pink again, so it is slightly zoned but throughout is not subtle or "pastel" in color. 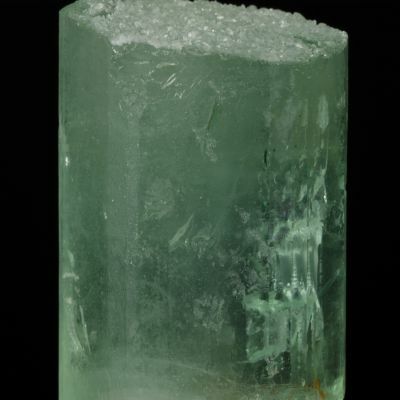 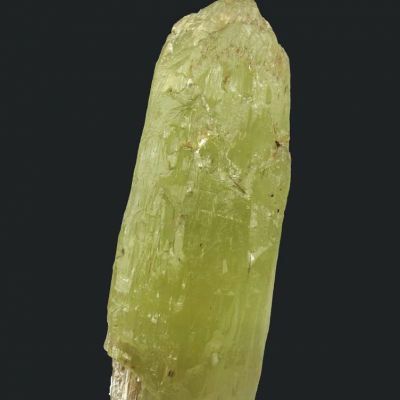 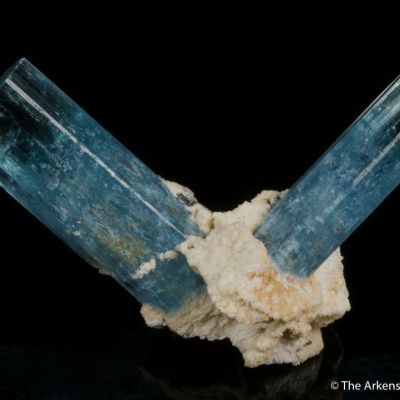 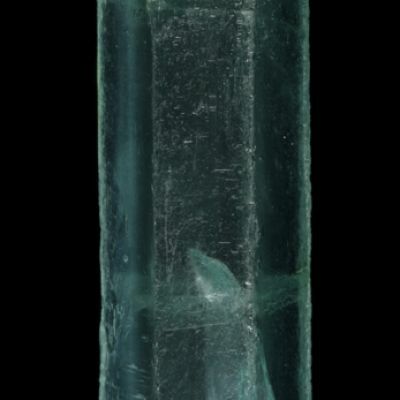 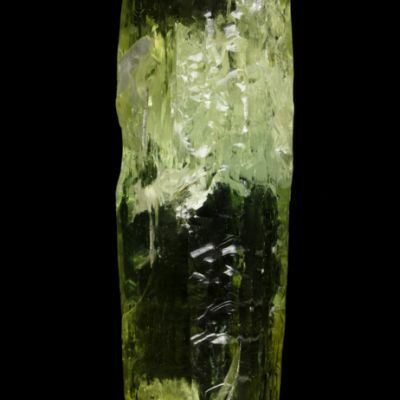 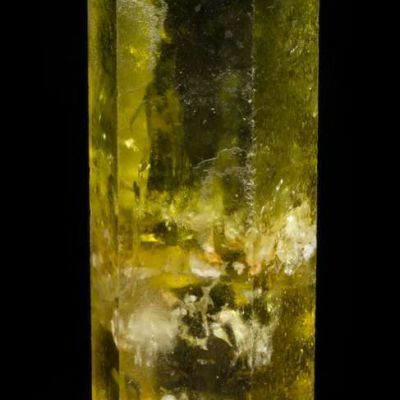 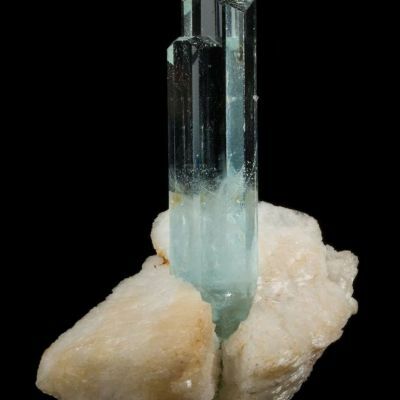 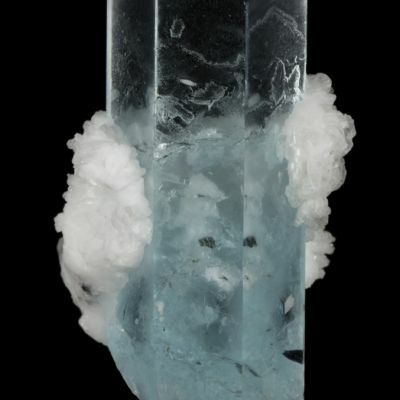 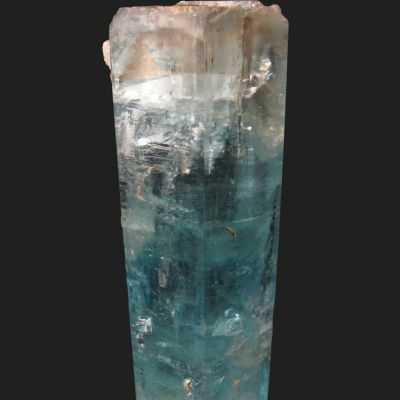 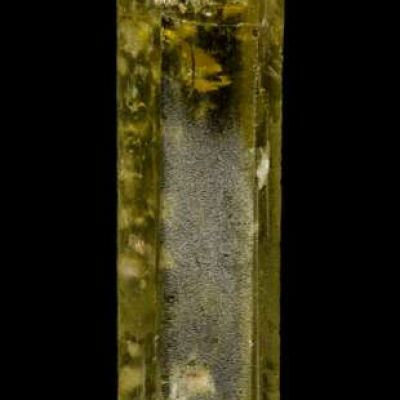 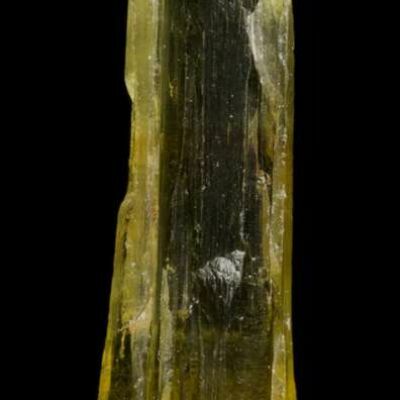 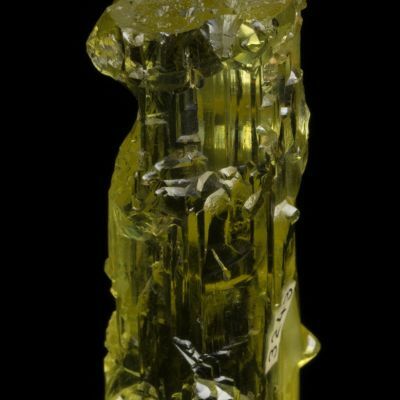 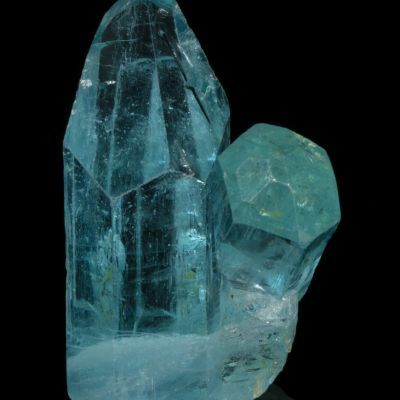 There is even an included Tourmaline needle inside the main crystal.